Here at SendGrid, we are passionately committed to delivering wanted email. What we mean is that it is mail that the recipient is actually interested in getting, when they open, read or click the links. While this is a subjective term, spam is also subjective. We like to use wanted versus unwanted as a designation since it makes people think in terms of their recipients as opposed to limiting their perspective to just their own business goals. Think in terms of your own inbox–are there messages from companies that you actively look forward to seeing on a daily or weekly basis? Are there communications that you would miss if they weren’t there? Likewise, are there messages that show up that you think “not another one” or “why am I still getting these?” Even if you originally signed up for a specific mailing list, your situation often changes in ways to make those messages less relevant to you. This is where you start to get into the “unwanted” side of the equation. As more of your messages are not wanted, you can experience some potentially bad outcomes–users can mark your mail as spam or the inboxing providers like Gmail, Yahoo! or Microsoft may start automatically dropping messages into the spam folder as users open your messages less frequently. These large scale providers, which include corporate emails hosted on Google Apps or Office365, are constantly trying to assist their email inbox users by identifying the mail that they and others open, click through, mark as spam, delete without reading, etc. They carefully track how users interact with specific messages, specific senders, and sending infrastructure and will place mail accordingly. Sending wanted mail helps ensure better engagement. Staying relevant to your customer base is an on-going exercise that covers a variety of techniques. Are you sending too frequently? Are you sending targeted messages to your more engaged customers? Are you sending the same messages to everyone? Do you offer your customers options for how often they receive messages from you? Or what types of messages they receive from you? Do you regularly remove uninterested email addresses from your mailing lists? It is important to understand that not all recipients are created equally and that it is up to you to interact appropriately with each and every type. There are a number of things you can do to increase your email relevance or “wantedness.” Let’s explore them in more detail. Allow subscribers to opt-out of specific types of email. For instance, daily deals, newsletters, notifications, etc. This process should be easy and intuitive. You should also make a link to the preference page available from within your emails. Customers are more likely to stay engaged if you let them choose what they want. Remember that they are in control of their inbox, not you. Honor the preferences of your recipients. Most people don’t like being sent tens of emails a day from one sender. Consider a daily digest that combines many daily emails into one. Maybe a weekly or monthly digest, if that is the preference. Likewise, if your customer requests only newsletters or transactional messages, honor those settings as well. While you fully believe in the value of all of your messaging, annoying your customers will not have a positive result. Send subscribers relevant and expected mail. Stay disciplined and provide only the types of email which the user opted-in to receive. Be careful not to cross lines where possible. In other words, do not embed large amounts of marketing content into newsletters or transactional mail. If you turn all of your content into an advertisement, you will again get the opposite effect than intended. Be clear about who the email is coming from. Be consistent with the from, reply-to, and subject lines. Configure whitelabeling to identify your brand for the internet ecosystem. Send from very clear domains in your from and reply-to lines, https://sendgrid.com/blog/why-you-should-not-use-noreplydomain-com-in-your-emails/avoiding do not reply emails. Build a good reputation and confidently display your brand name to users. Familiarize users with your company or brand name and make it easy for them to identify your messages from the others in their inbox. Test your email sending parameters. The preview pane, subject lines, above-the-fold content, images, text, links, etc. should all be tested. Together they represent your brand to the subscriber. Run small batches of A/B tests to compare single parts of your message to determine what resonates best. Does one call to action generate more link clicks? Is one subject line opened more than another? Track the results and send to the best performing result. Prune your mailing lists. Let unengaged, uninterested users go. 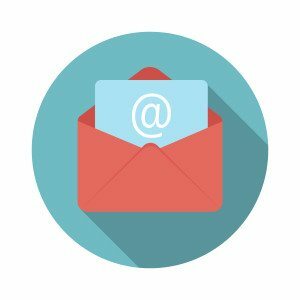 Many companies believe that every email address is a valuable asset. In actuality, only the truly engaged customers are valuable. You should regularly check your engagement. What users are opening mail? Clicking on links? Requesting to be unsubscribed? Send a re-engagement campaign to unengaged recipients and, unless they respond positively to the email, stop sending to them. All of these mechanisms are designed to ensure that when you send messages to a recipient, the message is more likely to be opened. The better the content or call to action, the more likely the user is to click through to your site. If you continue to send mail that the recipients do not want, you will negatively impact your ability to get your message to your interested customers that are most likely to grow your business. For more tips on sending wanted mail, check out my blog post, Why Good Delivery Practices are Critical to Avoiding Spam Designations. Jay Weiser is the Director of SendGrid's Compliance department ensuring that we keep our infrastructure clean. Passionate diligence in keeping spam, phish, and other abuse off of our systems improves the deliverability of our customers' valid mail.